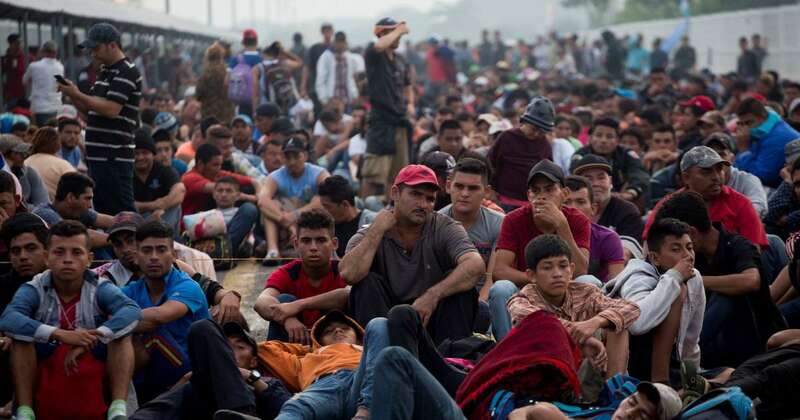 About 2,000 Central American migrants who circumvented Mexican police at a border bridge and swam, forded and floated across the river from Guatemala decided on Saturday to re-form their mass caravan and continue their trek northward toward the United States. "On Thursdays I paid the 18th Street gang, and on Saturdays the MS-13," Aguilar said. "Three hundred lempiras per day" — about $12.50, a significant amount in low-wage Honduras. Thousands of migrants slept — or tried to sleep — outdoors overnight underneath tarps and what blankets were available.